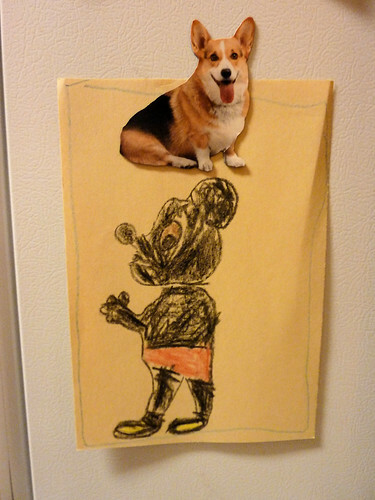 Mickey Mouse Art – Project 365 Day 71 a photo by Ladewig on Flickr. We had lunch with our friends Jay and Mindy the day this was taken. Their youngest daughter, Olivia, made some pictures for us which are now hanging on our fridge. We’re all Disney fans, and since Mickey Mouse is my favorite character, she made this drawing of Mickey for me.